What does Organic Raw Cacao Powder taste like? It has a delicious nutty, chocolate flavor without the sweetness of processed chocolate. Is all Cacao the same? No. The source of our Organic Raw Cacao Powder is the premium Criollo variety of cacao. Criollo cacao is the scarcest of the three species of cacao. Criollo cacao has a pleasant taste and mild aroma. What Are the Nutrition Benefits of Organic Raw Cacao Powder? Raw cacao powder is the highest ORAC score for any food tested by the USDA. Studies by Cornell University report that cacao has almost twice the antioxidants of red wine and three times that of green tea. Anandamide - Known as the “bliss chemical” because is released by the brain when we are feeling great, anandamide is abundant in cacao powder. Anandamide is also called "chocolate amphetamine" because it leads to feelings of excitement and alertness. Arginine – Arginine is an essential amino acid that helps the body produce nitric oxide. NOS helps in cell division, wound healing and removal of ammonia from the body. Arginine also causes blood vessel relaxation, which can decrease blood pressure. Some studies indicate that arginine may improve sexual function as well, which explains why many cacao to be an aphrodisiac. There is no better source of magnesium than cacao. Magnesium is the most deficient major mineral in the American diet with over 80 percent of Americans deficient in magnesium. The body does not produce magnesium, so it must be supplied by one’s diet. Magnesium is vital for healthy heart functions. Magnesium also helps to build strong bones, relax muscles and create a feeling of calmness. Other essential minerals present in cacao are calcium, zinc, iron, copper and potassium. The nutrients in Organic Raw Cacao Powder may help dilate bloods vessels, reduce blood clotting, improve circulation, regulate heartbeats and blood pressure, lower LDL cholesterol and reduce the risk of stroke and heart attacks. Tryptophan, an important amino acid, naturally occurs in cacao. Tryptophan helps you relax and sleep better. Adding Organic Raw Cacao Powder to a late-night glass of milk may help you get a better night’s sleep. Cacao is also high in the beauty mineral, sulfur. This mineral helps form strong nails and hair and promotes beautiful skin. Research also suggests sulfur may help detoxify the liver and support healthy pancreas functioning. How Can I Use Cacao Powder? Cacao Powder is very easy to use and can be sprinkled over any food. It can be easily added to blended drinks, oatmeal, cereal or anything else that would be enhanced by its wonderful chocolate taste. You can even sprinkle cacao powder into coffee for a great mocha taste. The label “raw” means the cacao has not been exposed to temperatures exceeding 116 degrees. Low temperature processing retains the vital nutrients in the cacao powder. Heat-sensitive antioxidants, minerals and vitamins are optimally preserved when low temperature processing is used. How is Raw Cacao Powder Made? The process starts with premium Criollo variety of cacao beans. The organic cacao beans are cold pressed into a paste and then pressed at a maximum temperature of 116 degrees to remove fats and oils. The remainder is cold-ground to produce the Organic Raw Cacao Powder. 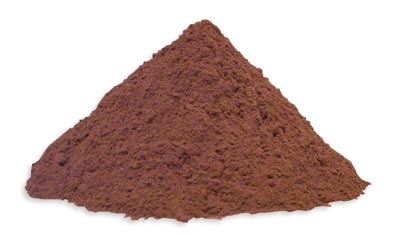 Organic, raw, unsweetened cacao powder. No preservatives, chemicals or heavy metals. Certified Organic and Kosher. Best to store in a cool, dry place away from sunlight. Can be refrigerated. Good Cause Wellness Organic Raw Cacao Powder is third-party certified and meets USDA and EU 100 percent organic standards. Our Organic Raw Cacao Powder is also vegan and kosher. Product of Indonesia. The cacao is regularly tested in an independent laboratory to ensure the quality and verify the absence of chemical fertilizers and pesticides. It is guaranteed to be free of heavy metals and sulfites. *Percent Daily Values are based on a 2,000-calorie diet. Your daily values may be higher or lower based on your calorie needs.